He does. The actor known for Breaking Bad has come a long long way from Malcolm in the Middle. In Wakefield, Cranston plays Howard Wakefield, a lawyer who suffers a nervous breakdown and goes into hiding in his attic, leaving his wife (Jennifer Garner) and two daughters without any clue where he is or what’s happened. The film is based on E.L. Doctorow’s short story of the same name, which appeared in the January 14th, 2008 edition of the New Yorker. For my fellow supporters of women in film Wakefield is written and directed by Robin Swicord, the director of The Jane Austen Book Club and co-writer of the Academy Award winning film The Curious Case of Benjamin Button. The cast also includes Jason O’Mara and Beverly D’Angelo. 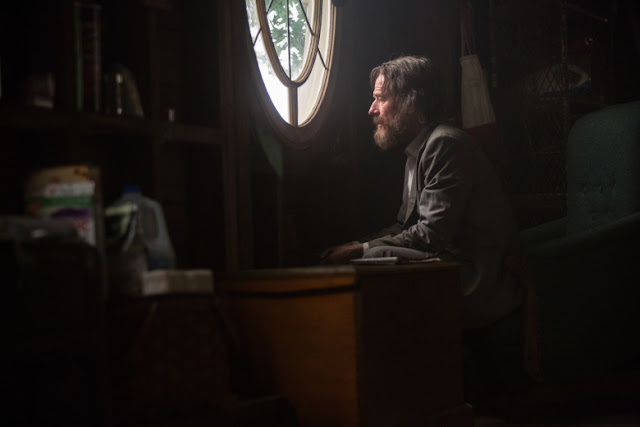 Wakefield had its debut last year at Telluride before screening at TIFF. Now, we’re getting it here in the US on May 19th. The entire short story Wakefield is available to read online at the New Yorker.